I've had a stroke, what happens now? One day, Jean was sitting at her kitchen table enjoying breakfast when she began to lose feeling in her face. In a matter of seconds the left side of her face was numb. Before she knew what was happening, it spread to her left arm. Jean was terrified. She didn't know what was happening. She called 911. The ambulance arrived quickly and transported her to the hospital. It wasn't until she was at the hospital and had been examined by the doctor she discovered she had just experienced a stroke. The last thing Sam remembers was playing Monopoly with his wife, Eva, and two daughters. He had just moved his token passed GO and was reaching for his $200 when everything went white and he fell out of the chair. Eva tried to help him get up while one of his daughters called 911. Like Jean, Sam was rushed to the hospital. The CT scan confirmed that he had just survived a massive stroke. 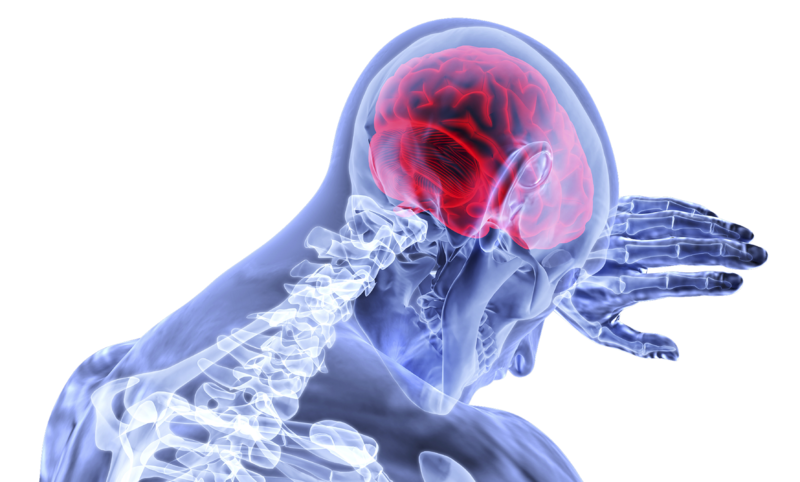 A cerebrovascular accident, or stroke, occurs when brain or spinal cord tissue is damaged by abnormal blood flow. There are hundreds of arteries that deliver blood to the sensitive brain tissue so it can function properly. When one of these arteries is leaking or clogged for any reason, the very sensitive brain tissue will be damaged. When this occurs, the brain can no longer send the correct messages to the body resulting in loss of sensation and ability to control movements. Stokes can sometimes affect vital functions such as breathing. Personality and mental changes may also follow a stroke. Some strokes occur but do not leave any permanent damage. No two strokes are the same. *Where in the brain, brainstem or spinal cord the stroke happened. *How much of the brain was affected. *Quality and quantity of physical rehabilitation afterwards. Each of these factors determine the extent of the damage and chances of recovery. There are two different types of stroke, ischemic and hemorrhagic. An ischemic stroke happens when the artery is clogged or there is no blood flow to the brain. Hemorrhagic strokes are the opposite. These occur when there is too much blood to the brain and the arteries are unable to control it which can lead to leaking or bleeding into the brain tissue. Both types can be destructive to the brain and cause irreversible damage. But some losses of physical and mental functions can be recovered with the correct treatment. How physical therapy can help stroke recovery. Physical therapy is essential to recovery. Physical therapists typically see a stroke victim soon after the stroke because physical therapy can help minimize the physical effects. Moving requires the brain to start sending messages to the body again. Physical therapists can test physical capabilities quickly and begin treating the problems immediately. After the initial stroke, physical therapy is needed to adapt to changes in the body. For example, balance may not be as good as it was before the stroke. Walking may be more difficult and require training to become safer. Since each stroke is unique, physical therapists determine the needs of each individual and devise plans to maximize the recovery. Research has shown that the more physical therapy a person has, the better their outcomes. Although Jean and Sam both had strokes, they each had different outcomes. Jean was able to recover almost all of her previous functions. She only had a little weakness in her left arm. Sam, however, had severe lasting deficits throughout his left side. He had trouble walking, standing, or putting on his clothes. With therapy, both have been able to understand and challenge their limitations which has made all of the difference. If you have suffered a stroke, working with a physical therapist is the best way to regain as much control of your life as possible. Call us at 352-243-4422 to set up an examination today.